......then take SAM’S to a friend. Calgarys Best Chinese food and Buffet! Lunch Buffet Mon to Fri.
Log into Your Google account and Click Here. You must be logged into your Google account before Click Here. 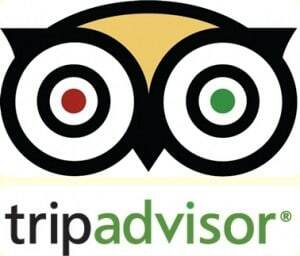 Give us a 5 Star review and show your Server, You’ll Get 10% off your next visit. Singapore Sams restaurant has been in Calgary for over 30 years. Located in the heart of downtown, Singapore Sam’s buffet now has more of a variety, ranging from appetizers to desserts. The buffet is open every night for dinner and Monday through Friday for lunch. Singapore Sam’s offers a full menu of Peking-style Chinese food for discerning patrons. Calgary’s Best Ginger Beef! Singapore Sam’s has become a hot spot for the after-bar, late-night crowd, particularly on weekends. Open 365 days for delivery and catering. Singapore Sams has previously won the prestigious Calgary Herald readers choice award. Some customers came with the article in hand. From that time, business started to climb steadily and the business expanded. Singapore Sams is a family owned business and they thank everyone for their patronage and hope to continue the tradition of good food and good service for many more generations to come. The prices are as good as the menu! Each time I spend less money, than anywhere else and for that value I always get a fresh, tasty Asian dinner! My friends, who go here every week highly recommended this place to me. Now, I visit it each day after work, though it takes me 5 minutes to walk. But it’s totally worth it! All our Food is made fresh and hot every single day, come on in Calgary for lunch, dinner, or after hours on the weekends. Are you looking for a traditionally Asian dish to enjoy? Serving Calgarians for over 30 Years!! The team that works in our kitchen, values diversity and has the best Pan Asian meals to offer! Coming to our place for a lunch or a dinner, we Love Calgary and have been here for many years, we have Take Out you can pick up. We also deliver ourselves to the surrounding areas or you can click on Skip the dishes.